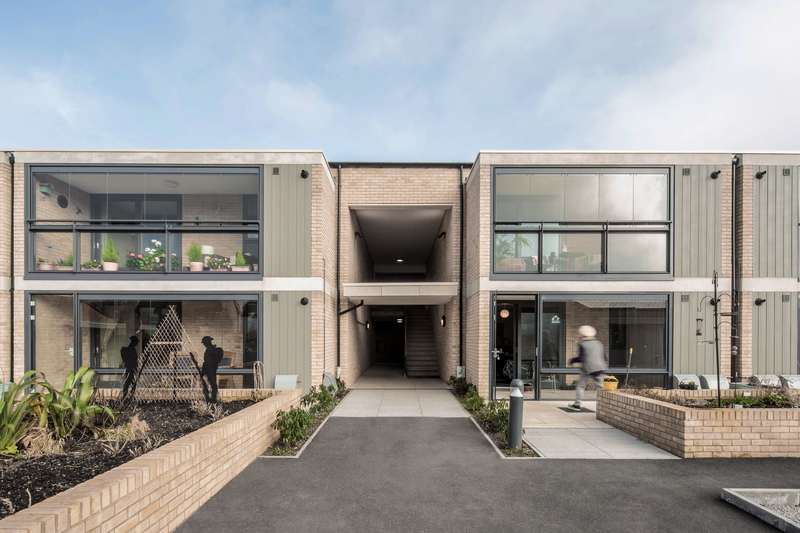 Beech Gardens, an Independent Living Scheme built by Connexus and designed by K4 Architects, is in the running for the 2019 RIBA (Royal Institute of British Architects) West Midlands Award. 15 buildings across the region have been shortlisted and each will be assessed by a jury, with the winning buildings announced at the awards ceremony on Friday 17th May. The winner of the award will then be considered for the prestigious RIBA National Award, whose previous winners have included the Royal Birmingham Conservatoire, New Scotland Yard and London’s Tate Modern. The site where Beech Gardens now sits was once a sadly-neglected collection of maisonettes and overgrown gardens. Connexus and K4 Architects reimagined what an Independent Living scheme could be for its older residents, creating a development based around the principles of social interaction and a sense of community. Residents enjoy both their own glass-fronted ‘winter gardens’ which face out onto a central community garden, complete with raised vegetable beds and an area for playing boules. The apartments and bungalows have been designed to maximise light and space, while maintaining incredible thermal efficiency that has helped combat fuel poverty for elderly residents.